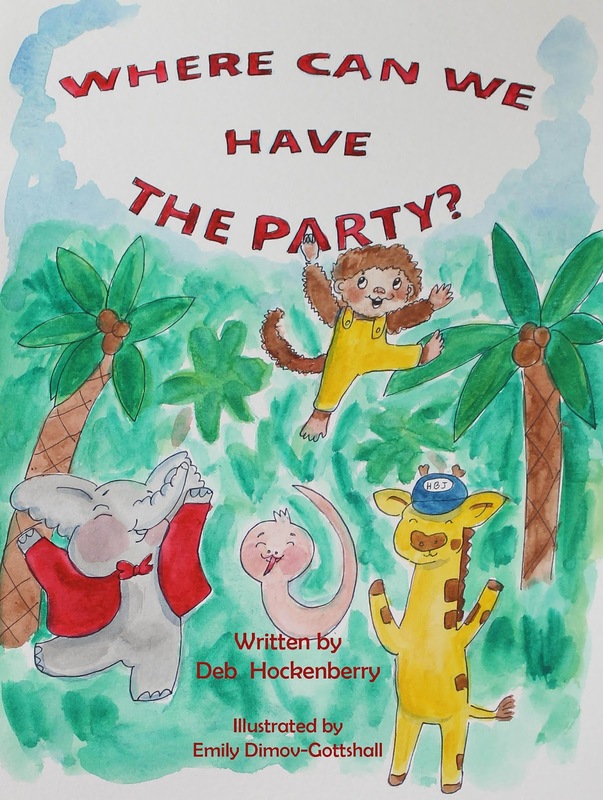 Today I welcome Deb Hockenberry, author of Where Can We Have The Party? Thanks for visiting Deb! Why did I write Where Can We Have The Party? When I was young I read every book in the children’s section of my public library, but never read exactly what I wanted to read. I liked party and talking animal books. I never found one book that combined both and that’s what I wanted. Thus, Giraffe, Elephant, Chimpanzee and the rest of the gang was born. Of course, I had to have a place for them to live. At first, I thought of the jungles of Africa, but that wasn’t magical enough. Thus, Hungle Bungle Jungle was born and the rest is history! 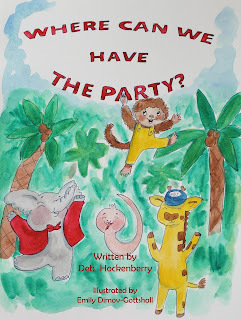 I wrote ‘Where Can We Have The Party?’ simply because I couldn’t find a book that I wanted to read! Giraffe wants to have a party for his friend, Chimpanzee. There’s one problem, though. Where can he have the party? He asks three other friends to think of ideas. They have some great ones, but for one reason or another, they won’t work. Where can they have the party? Deb has always wanted to write for children since she was a child. She loved making up stories for her siblings, and neighborhood kids. She has taken a course at the CBI Clubhouse http://www.cbiclubhouse and multiple courses from The Institute for Children’s Literature http://www.instituteforwriters.com, to up with the ever-changing children’s market. 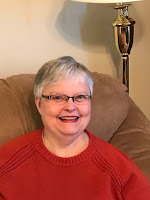 She is a regular contributor to her church newsletter, sending out announcements and reminders on MailChimp, and keeping the church website updated. 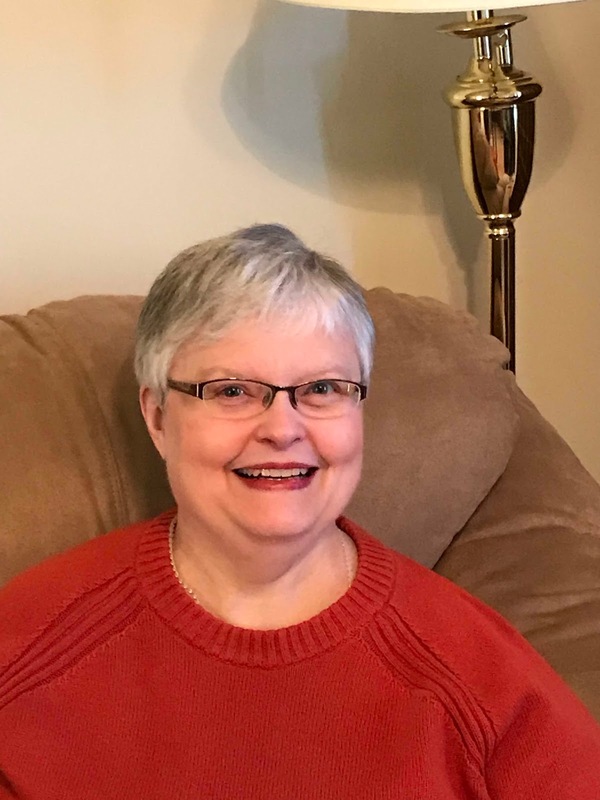 In her spare time, Deb enjoys knitting, crocheting, music, movies, and reading. She and her cat, Harry, currently reside in the inspirational mountains of Central Pennsylvania. Thanks so much for having me on your blog, Kai! My pleasure, Deb! Thanks for sharing your book with us.